Set in the heart of the charming Cotswold village of Ebrington, The Peacocks is a lovely three-storey mid-19th Century house. With three letting rooms, this family-run Bed and Breakfast has a homely feel. Children and babies are welcome and dogs can also be accommodated in the annex. The flexible nature of The Peacocks is illustrated by the fact they can also cater for room-only. The Peacocks is in the heart of the village of Ebrington. With an excellent village pub just across the green, and surrounded by the Cotswold countryside, you may never want to leave the village. However, if you do wish to venture out, the beautiful local area has lots to offer. 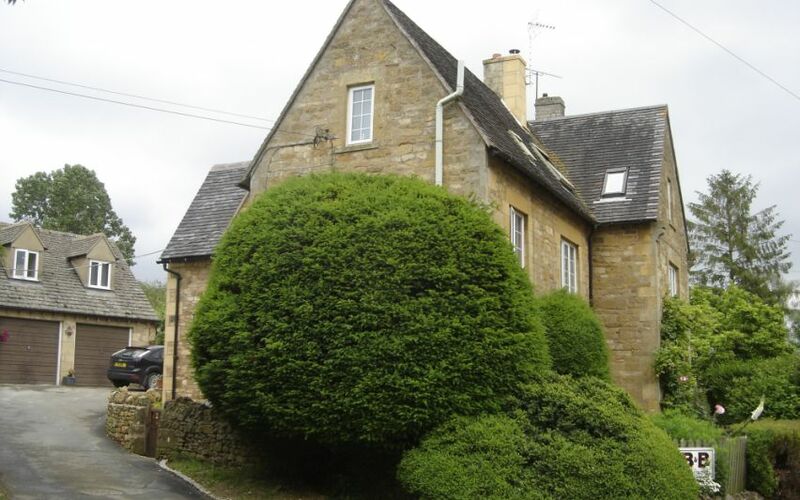 The famous Cotswold wool town of Chipping Campden is just over two miles away. Chipping Campden was the setting for the Arts and Craft movement, when C R Ashbee moved his workshops there from London. It was historically a wool market town, and many of the impressive buildings from this time still make up this small town. Chipping Campden also has several pubs, restaurants and boutiques, ideal for an afternoon's shopping!